I had a mate (Dean) up for the weekend. 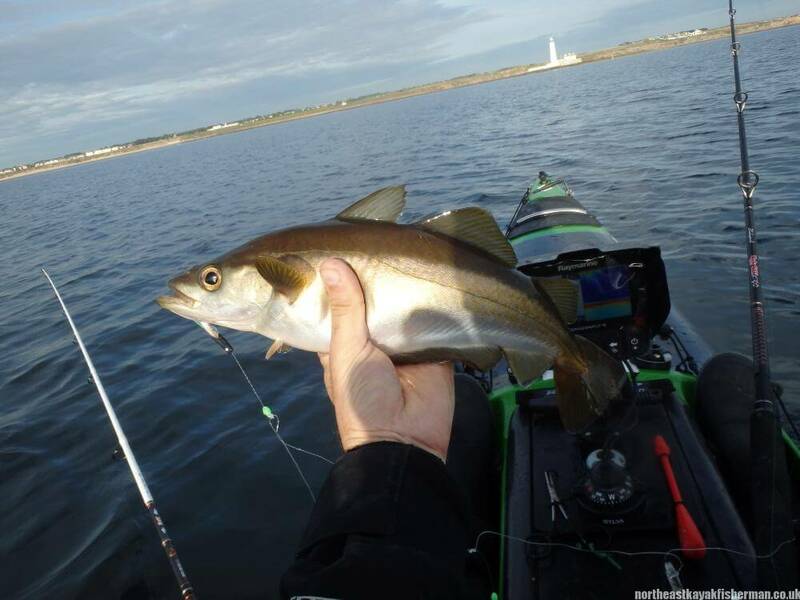 We were hoping for a surf but with 0-1 ft forecast and gorgeous weather I was keen to take him out on the water for a fish. 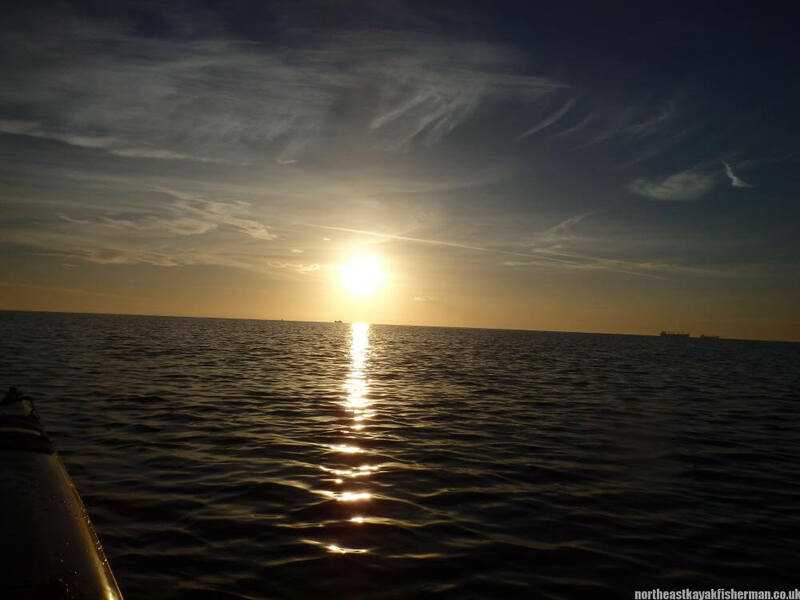 I got the Stealth and the Scupper Pro ready the night before and we were out on the water for 6:30am on the Saturday morning. 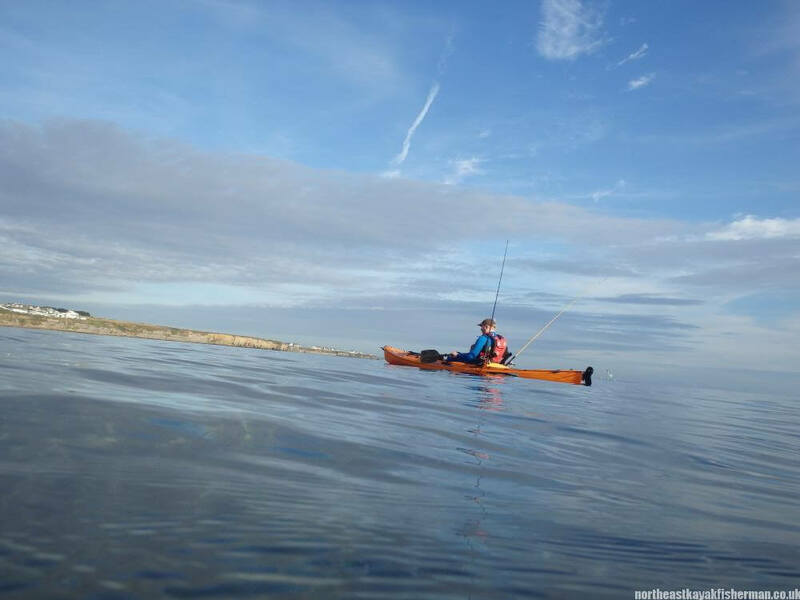 Conditions were perfect for a paddle but the fishing was slow. This didn’t matter much. I had 4 species overall. Pouting, Pollock, Cod and Mackerel but all in low numbers and small. The highlight of the trip was Dean catching a good size Octopus! I have only caught one before whilst night fishing and it was small. Dean’s however, was a really good size and put up quite a fight. Initially we thought he was snagged. 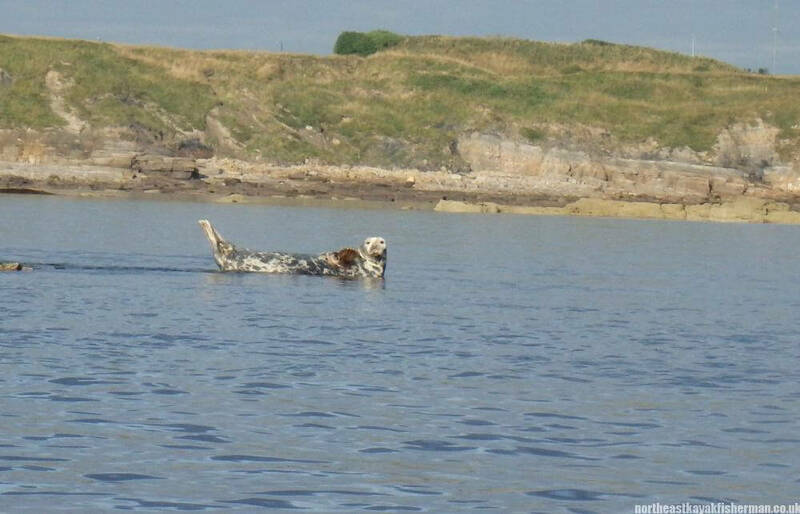 However, after a bit of paddling back and forth to try to save the rig from the ‘snag’ it came free and then the fight began. At the surface once it looked like it had given up we were about to get the hook out of it’s tentacle and it made a lunge for Dean’s kayak. 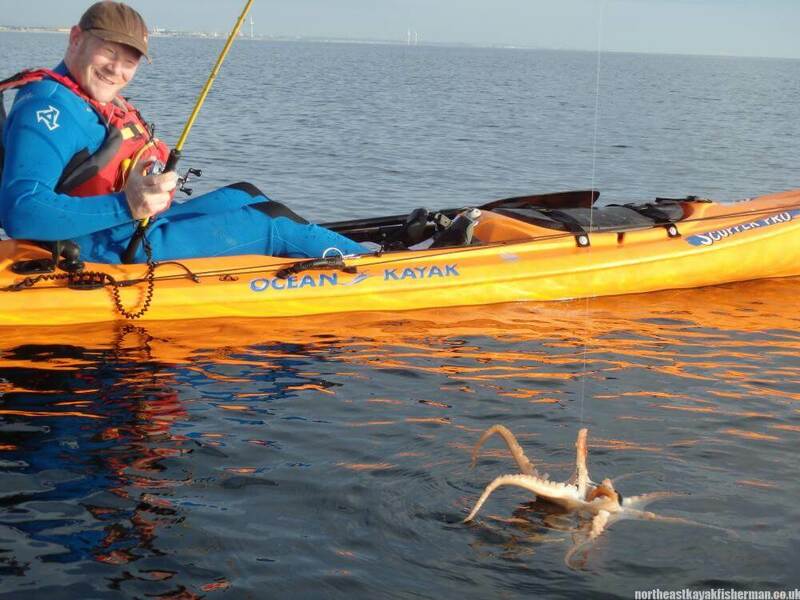 The octopus was now firmly suckered to the underside of the kayak and there was no budging him. These things have a serious grip! 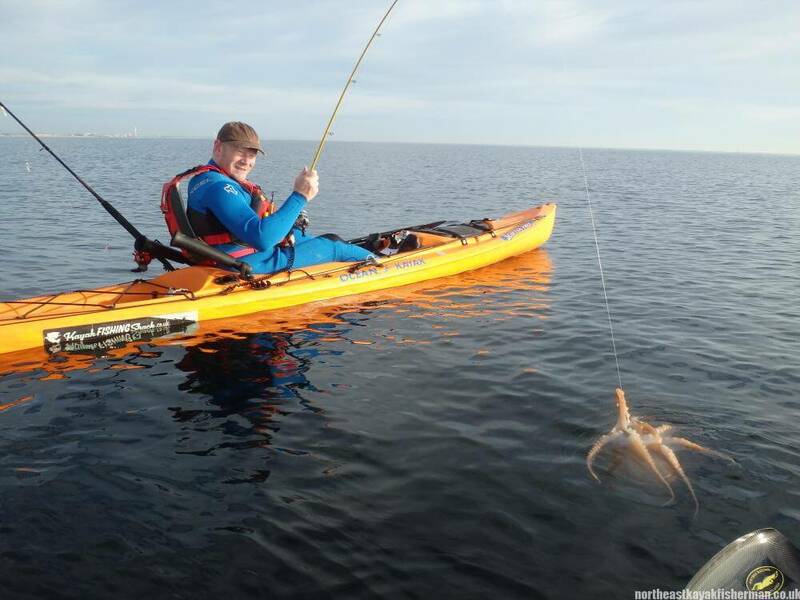 I was still able to remove the hook from the side of the kayak and once unhooked he released his grip and sank beneath the water. 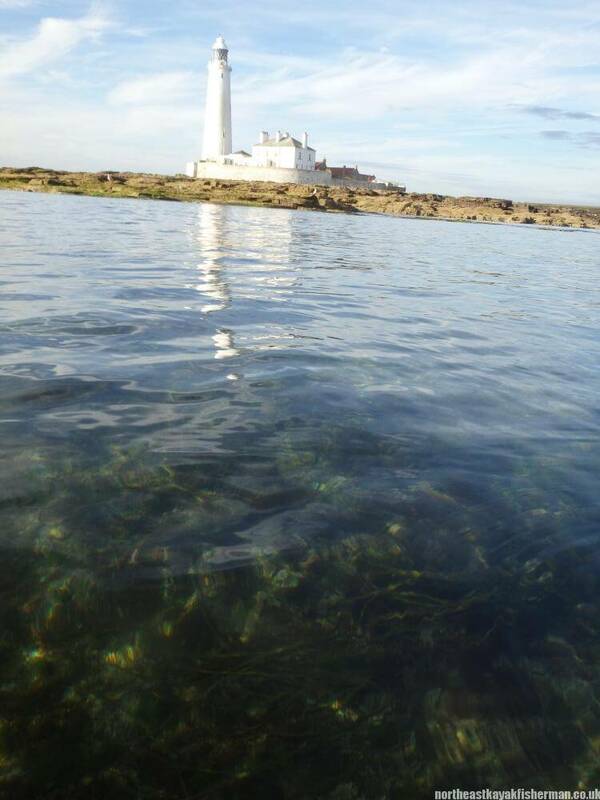 After the excitement we went for a paddle to the lighthouse to soak up the gorgeous conditions and crystal clear water and show Dean some of the seals. 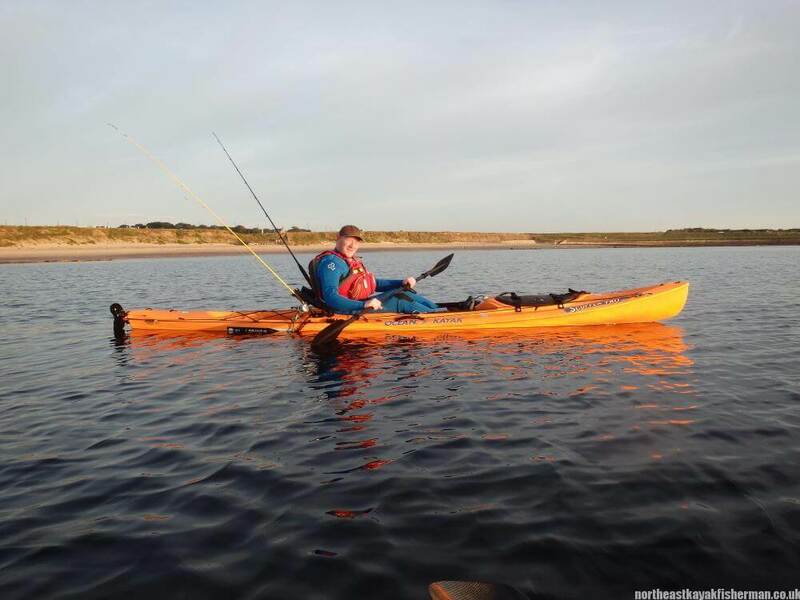 All in all, poor fishing but a great paddle and a session I wont forget any time soon.